Cachée Night Pool Party launches Friday 7th July. Saadiyat Beach Club is back on the party scene with the launch of their new bi-monthly night party. Set around what we at The Capital List think is the best infinity pool in the city, guests will be treated to an extravaganza of live entertainment, premium beverage packages, gourmet bites, fire shows and live performances from the beat-pumping line-up of DJs Saif & Sound and DJ Bliss bringing with them the very best R’n’B and Hip-Hop sounds. Kick starting at 8pm and running into the early hours, this night affair is designed to offer an escape from the summer heat, which a top-notch soundtrack and experience thrown in as well. VIP cabanas seating eight guests are available on the night for AED 4,000 including one magnum of Grey Goose and one magnum of Moët & Chandon. Table seating for six guests will be available around the pool area for AED 2,000 including a choice of a magnum of Grey Goose or a magnum of Moët & Chandon. Entry is priced at AED 80 for ladies and AED 200 for gents. 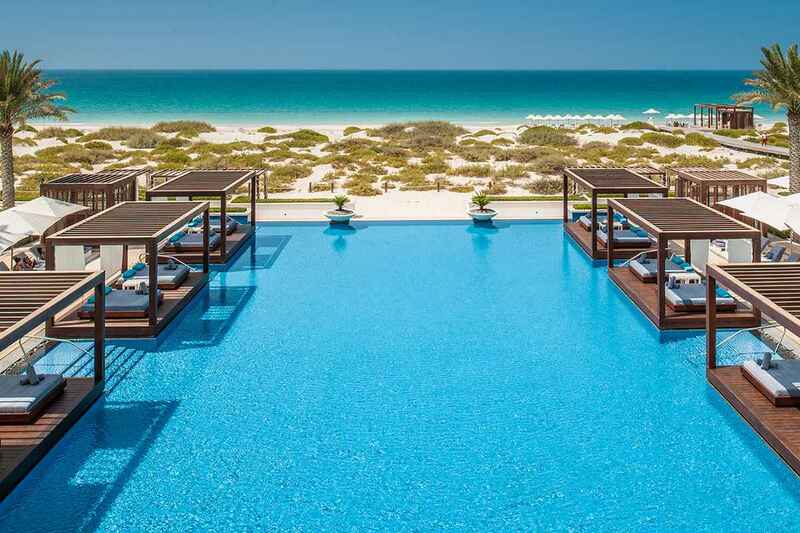 For Cabana and Table Bookings, email: info@saadiyatbeachclub.ae or call 02 656 3500 / 052 895 4156.